There is a pattern behind the prime numbers, after all. The pattern goes on forever. For the first time, James Anderson explains the pattern and its simple symmetries. Mathematicians tell us that the prime numbers grow like weeds, with no obvious reason for how they appear. But were we looking in the right way? the primes reveal a pattern, and in their earlier stages are easily predictable. They remain predictable but after a while the calculation becomes simpler with a computer. The pattern in which they appear remains unaltered. And it repeats endlessly. Learn about this pattern to understand primes much better. It is the author’s wish that the book is inexpensive. 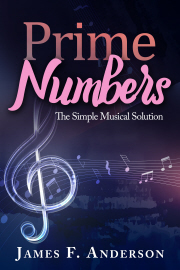 Buy James Anderson's ebook, and discover for the first time the music that explains the primes.